Route 52, Kennett Pike, Winterthur, Delaware 19735. www.winterthur.org. The Winterthur Library now cares for and oversees all aspects of The Collection, which is open to the general public. This important relationship greatly enhances the access and exposure of The Collection through academic research and study programs, exhibitions, and a variety of publications. ¶ The John and Carolyn Grossman Collection is one of the most comprehensive archives of Victorian and Edwardian graphic ephemera in the world. This amazing collection of material culture contains more than 250,000 printed and handwritten paper artifacts from the 1800s and early 1900s. The finest examples of ephemera are represented here, including calendars, greeting cards, trade cards, product labels, paper dolls, tickets, postcards, scrapbooks and sheet music. 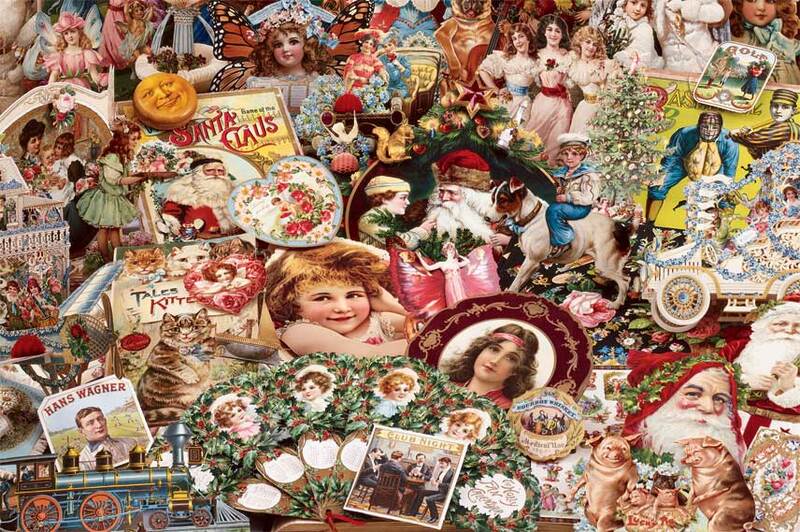 These objects feature colorful images that symbolize the customs, attitudes and ideals of Victorian and Edwardian life: innocent children, garden-fresh flowers, romantic couples, holiday traditions, fashionable women, humanized animals and cigar-smoking gentlemen. ¶ Most of our images span one hundred years, from 1820 to 1920. But we also have printed paper artifacts from the 18th century and cigar box labels as recent as 1964. Graphic arts spanning three centuries are depicted in a combination of breadth and beauty that makes The John and Carolyn Grossman Collection unique. ¶ Educational and creative opportunities add to the distinctiveness of this museum-quality collection. We make use of the artifacts and their images to conduct ephemera research, give presentations, develop exhibits and write articles. We also provide to the commercial product industry an endless creative resource of images and designs for fine merchandise including apparel, books, calendars, figurines, greeting cards, gift boxes, holiday ornaments, limited edition collectibles, stationery, stickers, tote bags, watches and wrapping paper. ¶ Begun more than thirty-two years ago, The John and Carolyn Grossman Collection is an enduring visual archive of material culture. A curatorial staff has overseen its management, research projects and preservation.